Returns Are The Arch Nemesis Of Sales! I know that sounds a bit drastic but in reality what is drastic is the effect that too many returns can have you on retail business. In this post I will explore all the areas that make up returns which can be from someone saying it doesn’t fit to more sinister scenarios that involve retail fraud. The word sinister always sticks in my head because if you watch the ID (Identification Discovery) Channel the narrator always gives you a simple story of what happened to someone and then he says, “Or was it something far more sinister?” If you have a retail business, it may feel like every time you have to process a return it is like someone is killing your business slowly until the next sale comes in and you forget all about it. 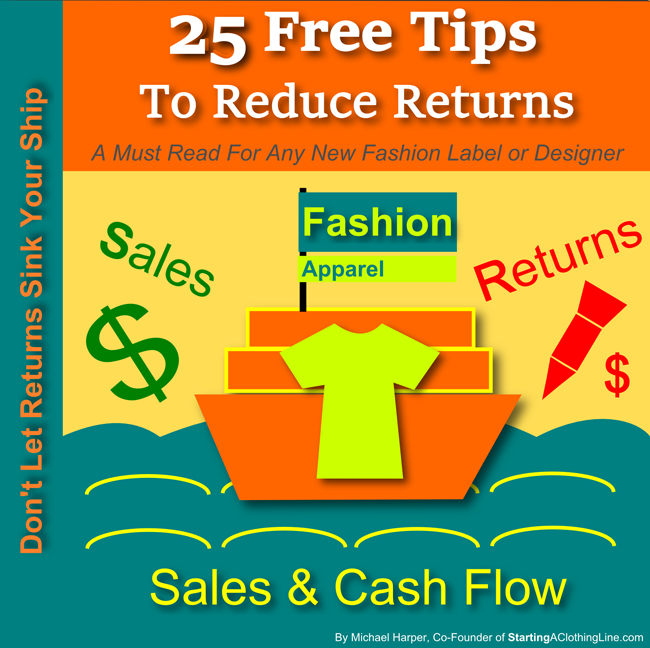 Keep reading to get to my 25 tips to reduce your merchandise return rate and the financial impact of returns on your bottom line. Let me be clear. I am a pure advocate that you want your customer to be totally happy with their purchase. You want them to feel good about the entire process of ordering your merchandise whether the order was placed online or inside of your brick and mortar. Nevertheless, if you are a small or midsize retailer you know how draining returns can be for any reason. And by returns I mean anytime that money is flowing back out of your account from a previous sale for any reason. It is only human nature to feel agitated that someone wants to return their order or that someone committed retail fraud to steal your merchandise and not the credit card company is taking the money back plus a fee on top of it. Then there are times where it may seem you are dealing with more issues than at other times and it can take its toll on you mentally. Unfortunately, we all know that returns are a nature of business. You can’t escape them. However, if you are running a tight ship you will have more good times than bad. I want to help you have more good times because good times equal up to you feeling good as a fashion line business owner. According a report published by The Retail Equation in conjunction with the National Retail Federation estimated in revealed that returns cost US Retailers over 260 million dollars. According to a post made on Internetretailer.com, “On average, data compiled from about 50 clients of retail consulting firm Kurt Salmon show that online consumers return 20% to 30% of orders of apparel and other soft goods.” According to Statista.com, Karmaloop.com in 2014, had a product return rate of 6%, Abercrombie and Fitch 10%, American Apparel 14% , Tory Burch 20%, and DSW 22%.These numbers reflect selected Fashion E-Retailers. So what do we learn here? We learn that return rates vary. My research also allowed me to draw the conclusion that the main two reasons customers return apparel merchandise is because of fit and quality. Your take away from these findings should be the most important things you can do are to make sure you are designing, manufacturing and shipping quality merchandise. You can’t control whether something fits someone like they wanted it to but you can control quality. Producing High Quality Apparel has to be your number goal! Next you want to make sure your fit is in line with your market sizes. If you have a special formula that appeals to a certain niche group then make sure you marketing conveys that and that you have photos of models wearing the clothing to show how it will fit. Here are 25 Free Tips and suggestions for minimizing your returns, minimizing the financial blow of returns and minimizing fraudulent transactions along with pros and cons of each. However, I will forewarn you that you can’t do them all and some you may not like and rightfully so. However I have to list them all. All Pros if you garments or merchandise is to the letter T to your description. If your items don’t live up to the written text then expect to go out of business eventually if you continue down this road. This is a winning recipe. 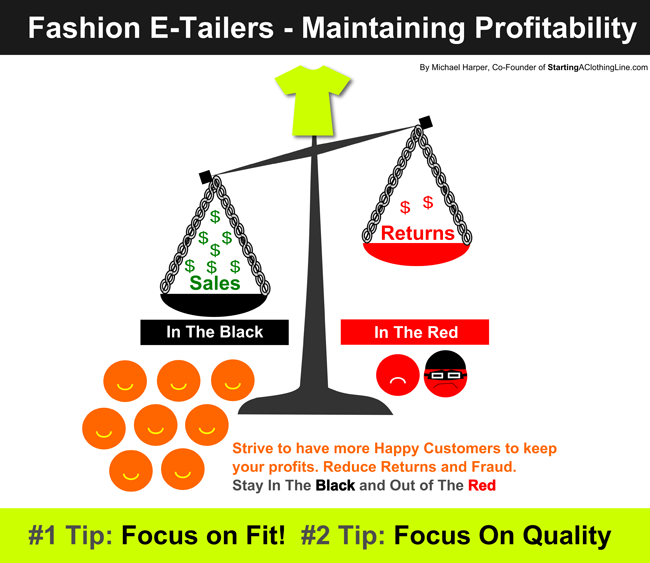 Poor Quality is the #2 Reason Why Customers Return Apparel Merchandise! Pay attention to quality! None. Keep in mind that even customers ordering low priced clothing expect for the clothing to be constructed well. This is obvious. Take those items out of the original polybag they came in from the manufacturer and check them out before shipping. The good part is you know that when your customer receives it – that is free from defects. None, unless you aren’t checking or you are spot checking. In that event, if something gets passed you and out to your customer, the experience will not only lead to them returning the merchandise but they may never buy from you again. Strive for this as it is the one of the most crucial indicators of whether you will be keeping most of the profits made on the style or returning them to your customer. You could post in the description various measurements of each size and then ask the customer to measure themselves. Then provide recommendations either initially or if they give you their measurements you could give them a custom recommendation. Poor fit is the #1 Reason Why Customers Return Apparel Merchandise! None except a little more costly, more work and more time consuming. However – it still worth it! If your garments care instructions truly represent the garment then you are in good shape. No Cons. However if your label is misleading and it says you can machine wash the article and then it tears up when the customer tries to wash it – REFUND. Good thing to do. Customer can see the details. Customers will find this very valuable in determining whether or not the style is likely to fit them. It there assumption is accurate then they are less likely to return the merchandise. All pros. This a great practice so make sure you website design is on point and from the time they added the merchandise to the cart all the way to pressing checkout – that they can see the item they ordered, size and color. Customers want their orders in the time-frame in which you stated you would get it to them. Be sure to get it to them without delay. Do this 100% of the time. It is for your own good as well as that of the customer. This way they aren’t impatient with wondering where their order is. The benefit to you is if any discrepancies arise, you have proof you shipped. If you do not ship with tracking numbers a customer can say they never received their order and that equals a loss of merchandise and a giant chargeback. This could be one of the factors that influences them want to order from you in the first place. In some cases, this may lead people to want to return merchandise for the smallest thing because they know you make it really easy for them to return the items. However the bright side of this is customers may order from you again because they trust that if they aren’t satisfied they will have a no hassle return. If you give a partial refund / charge a restocking fee – It covers you in the event that you can’t resell the merchandise. Customer may not be happy with it. If you do go this route you may want to consider turning their restocking fee into a store credit so they don’t feel royally upset with your policy. An example of this is when you give a customer a deal on buying say 3 items from you but now they want to return one of them. Do you deduct the extra discount they received because of the partial refund? It is an incentive for them to keep all of the items they ordered because they do not want to lose the discount they received. You keep some of the profits you made off the sale. Customer won’t like it but if they knew that was the case up front then they are less likely to be furious with you. Helps you keep your profits. Customers hate exchange only for store credit. Especially if they feel you do not have anything else they want. They may decide not to order from you again. Customers like free returns so they are more likely to order. That is the only pro side to this. This is a new idea that came to mind as I was writing this post. An example would be: A Customer returns a $100 item. Instead of giving them store credit for $100. You can maybe add on $15 or $15 in Reward Points for them to use on their next order. But it only can be done once per customer etc. You can make it a global store policy or use it on the case by case basis. You can come up with the right incentives. Customer will feel a little better. You will feel a little better because you aren’t just telling them you have store credit and I am not concerned if you buy from me again. Customer may still not be happy they can’t have a full refund but at least you showed you care about them and want to continue to earn their business. You lose a little bit off of the next item you sell them but at least you live to fight another day. Will some customers abuse it? Of course but again it is still better to keep them around for the next sale. Give customers a certain amount of days to notify you of a return. While having 90 days to 6 months policy like some of the larger department stores may work for them – this type of policy will kill your small business. Give the customers enough time to get the item and a few days after which. An good example would be that they have to notify you and have it back within in the mail to you within 15 days in its original condition. If your return window is too long you increase the chances that a customer may decide they only wore the item once or they no longer need it so they can easily just return it. This is unfair to you because you lived up to your end of the bargain and gave them a great product and now you are be punished for having a more than accommodating return window. Note: In case you haven’t noticed, I am writing this post as a clothing line owner / business owner and not as a consumer. Of course, if consumers had it their way they would want to be able to return merchandise 1 year later for a full refund. Imagine getting back a clothing item a year later that you couldn’t sell and you are giving your hard earned profits away. That is not a pretty picture. In close on this, just make sure your return window is fair and justified for the merchandise you are selling and you should be fine. It decreases the chance that you will get a chargeback from a fraudulent transaction. Some less than stellar people will try to get over on you by ordering a product that they want you to ship to an address other than the billing address. If you have been in business then you know when that happens and a customer tells their credit card company that they did not receive the merchandise you will lose the case hands down. The first thing your credit card processor will ask you is did you ship it to the billing address. If your answer is, “No the customer requested that we send it to his granddaughters house because it was a present for her”, then realize your profit on that item is gone bye bye. Plus hand over $30 for this chargeback. However in all fairness to the credit card processors (sarcasm) – most are going to charge you a chargeback fee once the claim is initiated whether you end up winning or losing the dispute. Again, shipping to addresses other than the billing is the most common way retail fraud is committed via online purchases. However, I can recall two instances where I have seen people steal someone else’s credit card and then have it ship to the correct billing address hoping to intercept it before the cardholder noticed they had a package. True story: We shipped this one order out and the person next door to the cardholder had actually stolen their credit card that came in the mail. The neighbor ordered the item and when it showed up to the cardholder’s house, the neighbor walked over and told the post person that he was authorized to sign for the package. Nerves right! I have also seen returns come back because people tried this but they weren’t able to intercept it in time and the cardholder stated they didn’t order it so it came back to us. Even with all of this – it is still far more less problematic and safer to ship to the billing address only. If a customer tells you that no one else is doing that and that they have items shipped to different addresses or their job all the time then you will have to decide how you want to handle that. If your sales volume is high and you don’t mind losing money here or there then by all means – accommodate your customer. You could also look to validate the address that the customer wants it to ship to behind the scenes to see if the address is connected to them. If you find that it is, you may want to consider shipping to their different address. However, even in the event, it still opens you up to a greater risk of operation fraudulent purchase / chargeback city. Instead of buyer beware, it is shipper beware! Do what is right for you and your business. That customer really did want it to go to their sweet granddaughter as a gift and you are ruining their plans with your stupid only ship to the billing address policy. They may decide they no longer want to order from you and want to go with someone who is willing to take a chance that they have the right intentions. But again be warned! For example, PayPal has what they call “Confirmed Address.” Whenever you ship to that address you are protected from fraud. When you do not ship to that address, a customer can say they either never received the item or they never placed the order to begin with. Either scenario equals to you losing money. If you are an Amazon.com then maybe losing a few dollars here or there is nothing to you. But as a small business, every single dollar made or loss can have a substantial impact on your bottom line. You decide which policy is right for your business. 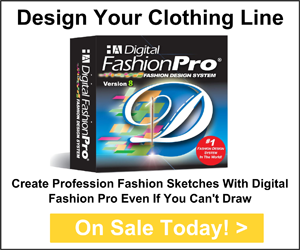 This is great for you as an online fashion e-retailer. It gives you added proof that a customer received your item. After the credit card processor ask you as they did in my #18 tip did you ship to the billing / confirmed address? They will next ask did anyone at that location sign for the package. If your answer is no – guess what? CHARGEBACK. Customer may get agitated that someone has to be home to sign for the package and they work all day. Get around this by letting them know they can schedule to have it re-delivered when they will be home or that they can pick it up from the carrier’s local office or local post office depending on which carrier you used. Some people are happy with this because they don’t want their merchandise left on their front porch anyway. Either way, regarding a signature is extra protection for you against fraudulent transactions. In fact, doing #18 and this one is the most important ways you can guard against fraud. Yes, yes, yes, we are back to fit again. As I mentioned earlier in this post – Fit is one of the principle reason why people return apparel merchandise. So how can you help curve this? Embrace new technology such as Virtual Fitting Rooms and 3D Body Scanning. Although this technology is a few years old and still being developed, I personally do not know if it is proven yet. I do not know if the cost justifies the return or that it really curves any potential returns due to fit issues. I could be wrong. I will look to get more research done in this area in upcoming post. If anyone has data on any of these new technologies – reach out to me. I would love to hear from you. This is a win win! You always want to provide friendly, excellent and knowledgeable customer service and sales. You can help a customer order the right thing which could lead to them keeping their order. This is a practice that larger department stores engage in. They will chargeback merchandise to the fashion brand that they are unable to sell or that they have to mark down. For the big brands, they may be able to afford these chargebacks. For the little guy, this practice could kill your clothing business. This is one of the reasons why we advise our StartingAClothingLine.com clients to start small before trying to rush to get their label carried by a major retailer in terms of having actual floor space. If you sale other brands on your site – this practice will not work for you if you are small retailer. The fashion label you are ordering from will not allow you to just decide you aren’t paying them. They will want their money regardless to whether or not you sell it. If you sell your line wholesale, I am sure you feel the same way. This doesn’t apply if you are the clothing line and retailer. One way to lessen the impact of returns if you find you can no longer sell them is to sell them to liquidators. You will get pennies on the dollar. This is a great thing to do in general without worrying how your customer will perceive it. Helping a cause you believe in is a wonderful and personally fulfilling. Your customer may appreciate your efforts as well as your personal or business narrative and it may influence them to keep an order they may have normally returned because they believe in what you are doing. None, unless you are doing this as a gimmick. If so, shame on you. Look and see what others are doing such as Karmaloop who is doing very well with their merchandise return rate. Look at DSW and find out why you think their rate is so high. Try to come up with the perfect return policy that works for your company. None. You should always aspire to learn from those doing well but also from those that are not to come up with the perfect plan. Something I always love to say is that you should always look for continuous improvement. As they say, we are all works in progress and so are our businesses. If you have any additional tips or comments or experience on any of these issues or dealing with returns – I would love to hear from you. Until next time – good luck!